My good friend Gordon Zlot was inducted into the Bay Area Radio Hall Of Fame last night and it is my honor to rewrite and repost a special Blog I recently wrote. My Blog will be followed by Gordon’s acceptance speech. Gordon, a young engineer at the time, built his very own FM Station in Santa Rosa California which he launched in April of 1971 as KZST. Not only did KZST become successful very quickly, but today it’s still known as “The Big One” in Sonoma County. Since then he has he has added four more stations to his roster. I didn’t know Gordon back then because I was still in Canada working another Hall Of Famer, Ted Rogers. Ted once told me, “George, for someone to become even more successful than they already are, sometimes they have to leave behind the people who helped make them successful.” Gordon disagrees with Ted’s philosophy, and in fact, believes the exact opposite. He believes that you must stick with the ones that brung ya! About 30 years ago, Gordon and his crew, GM Tom Skinner, and PD/ Morning Man Brent Farris visited me in Coronado where we came up with a way for us to all work together. So now whenever I visit Santa Rosa, it always feels like I’m going home. I’ve worked for a lot of radio companies over the years, but I assure you, none are run the way Gordon runs his. He pays his people well, they have the finest equipment available, and they out of a super modern facility. Oh did I mention that they also have profit sharing, a great health plan, and a super pension plan that Gordon fully funds? Over the years Gordon has had many offers for his group of stations but didn’t do it because he didn’t believe that they would take care of his staff if he was no longer involved. Even though his stations run pretty fat, Gordon still manages to eek out enough to have two beautiful homes, one in Santa Rosa and the other in Palm Springs which he flies to in his own jet. Knowing Gordon as I do, radio is not just a business, to him, it’s very personal. Here’s to the newest member of the Bay Area Broadcasters Hall Of Fame, Gordon Zlot. My fascination with radio began when I was a kid…when I was about nine years old. I had a low power AM radio station in my bedroom at 1090 on the dial. The call sign was KEBC, which stood for El Patio Broadcasting Company …. Named after the street, I lived on. I even got approval from the Engineer in Charge at the FCC in San Francisco, Ney Landry who many of you engineering types might remember. I had one listener….the girl next store. Like many of you growing up in the Bay Area I listened to Dave McElhatton on KCBS, Doug Pledger on the then KNBC, Les Crane live at the Hungry Eye on KGO, Al Collins from the Purple Grotto, Russ “The Moose”Syracuse, Terry McGovern, and everyone’s favorite Disk Jockey, Don Sherwood. In 1958 at the age of 13, I got my first job in radio, a 250 watt AM daytimer in Vallejo where I grew up. The Call Sign was KNBA …the Mighty 1190. I started by taking out the garbage, changing light bulbs, mowing the lawn, running the board, taking transmitter readings, setting up for remotes, and progressing to being on the air. I loved the smell of a radio station. It was a combination of cigarettes, burning tubes, the yellow teletype paper, and the smell of lacquer from the cutting lathe where the ET’s were CUT. For those of you who don’t go back that far…ET is not a creature from a Spielberg movie but stands for Electrical Transcription which was those 16-inch lacquer disks that were cut at the station before tape was widely used. We had no cart machines; all the spots were either read live or on ET’s. It was at that time I met Jerry Dean who would become my mentor. He taught me everything about radio. Jerry eventually went on to found KJAZ along with Pat Henry. It was the world’s first full-time jazz station. While other kids were listening to the Beatles, Elvis, and the Stones, I was listing to Sinatra, Dizzy, and Miles. That’s where I got my appreciation for jazz. Jerry was later inducted posthumously into the BARHOF class of 2007. I worked at KNBA until 1966. Signing the station on Saturday’s and Sunday’s and working a 6 hour DJ shift. During my college years at San Jose State, I worked at KREP in Santa Clara which later became KARA. After graduating in 1969 with a degree in Electrical Engineering, I went to work for Bauer Broadcast Products in Palo Alto as an Engineer. However, my real dream was to own a radio station, and being a believer in FM radio; I signed Sonoma Counties first FM stereo radio station on the air on April 18, 1971. The call sign was KZST which stood for K-ZEST. The format was Beautiful Music. In those days AM humorlessly stood, not from Amplitude Modulation, but Ample Money and FM stood for Few Money. With only two full-time employees it required a lot of work. I did everything from sales, engineering, programming, announcing, and traffic. There were many burnt dinners in those days when I would return home at 8 PM. Eventually, we changed our format from Beautiful Music to Soft AC. I called it “Easy Stereo.” Then in 1983 through the efforts of the acknowledge father of AC Radio, George Johns, we became a Full Service AC radio station, with a full news department with our own traffic airplane we called Plane Jane, Kristine Hanson our meteorologist, our morning personality Brent Farris, General Manager Tom Skinner and Chief Engineer Eric Peter. Within months KZST became the top station in the market, and it continues to do so. One of the secrets of our success is the long-term and dedicated staff we have. Many of whom have been with me for 30 plus years. My second dream was to build my own world-class state-of-the-art radio facility, and that became a reality when we began broadcasting from our new 10,000 square foot building in Santa Rosa In 1989. As an FCC licensee, I have always believed that the license holder was not the owner of the airwaves, but was the steward of them, and must always operate in the Public Interest, Convenience, and Necessity. As a non-public company, I have not had to worry about balancing of the needs of stockholders against those of the listeners. Some 47 years later our company now has five radio stations with formats in AC, Soft AC, County, Oldies and Smooth Jazz. It has truly been a marvelous ride, and I must say that radio will always be in my blood. I still marvel at the technology that allows us to send words and music through the air, let alone pictures. Geo’s Media Blog is published weekly. 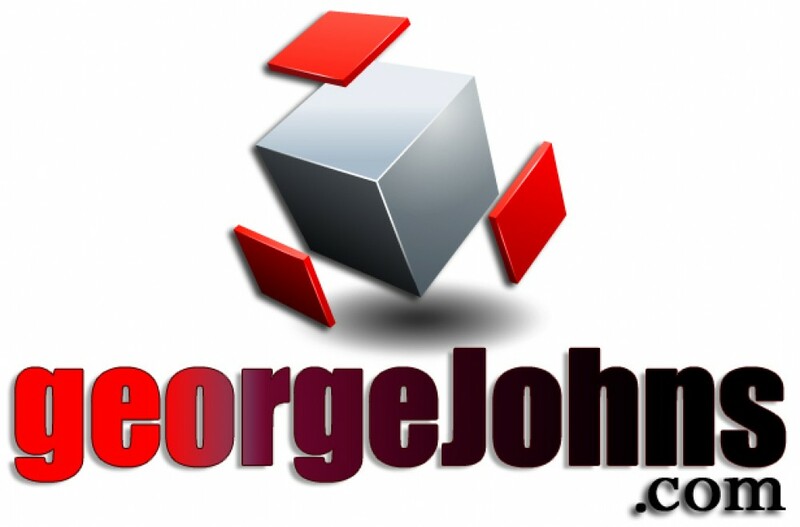 For a sneak peek at some new Blogs or those you may have missed, go to GeorgeJohns.com or google Writing Radio’s Wrongs for a brand new Blog that Bob Christy and I are doing together about the state of radio today. On Twitter@GeoOfTheRadio. Sharing and commenting is appreciated. Excellent blog George. It’s great to see that people like Gordon still exist. Glad you had the opportunity to help him and his gang out. You must have learned many lessons from him and he from you. Good going. He’s a great guy Bruce and one of my favorite things about working with him is that occasionally I get to fly in his Jet to some meetings. A significant part of Gordon’s long term success is on you, George. A top of the line owner with top of the line input from somebody who’s made a bunch of stations #1 is a can’t miss situation. Congrats to both of you! Keep it going! Thank you, Doug. I thought it was very gracious of him to mention me in his acceptance speech but also very Gordon.